What is it about small violas, string length, playability, school size, weight? 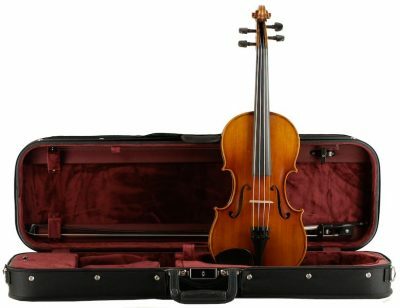 Not this viola! 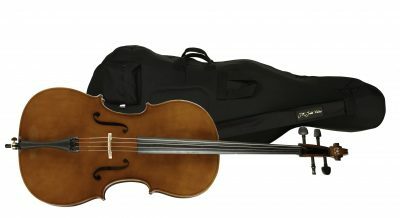 It has it all, tone and looks in a small package. 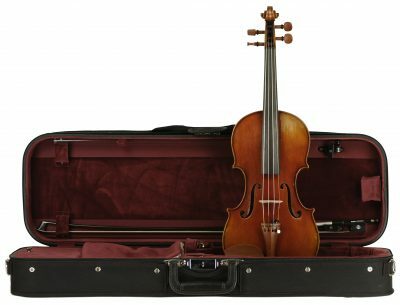 This instrument is also perfect for the violinist who also wants to have a viola too. 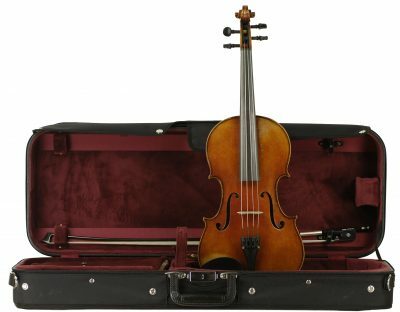 The instrument was commercially made in a large German workshop after WWII. The Juzek firm was first located in Schönbach, Czechoslovakia prior to the war. After WWII Robert (the son) and John Juzek moved the company just over the border into Germany. There is no date, serial number, or model information on the label. 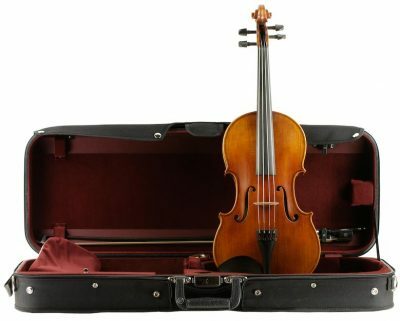 Many of these instruments where made under contract that John Juzek secured with the New York City Public Schools, U.S. Teacher Colleges and other U.S. City public schools in the 1950’s. 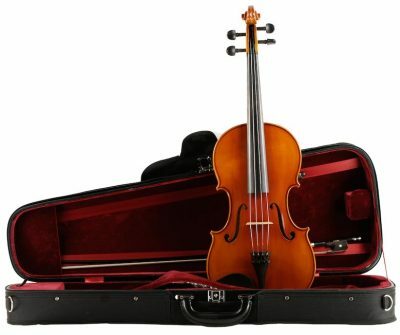 This instrument is a nice trade grade viola. It has that muddy/grey red-brown varnish with a touch of orange, which is consistent for all the Juzeks from 1948 – 1969. We have carved all new fittings (pegs, bridge, post, fingerboard, nut) and added a new tail piece and chinrest. There is plenty of natural wear. This patina in the varnish gives it character and makes this little viola a visual gem. But the best part of this instrument, without a doubt is the tone.